The highland plateau Dieng is an amazing place to hold a festival. Dubbed as the kingdom above the clouds. 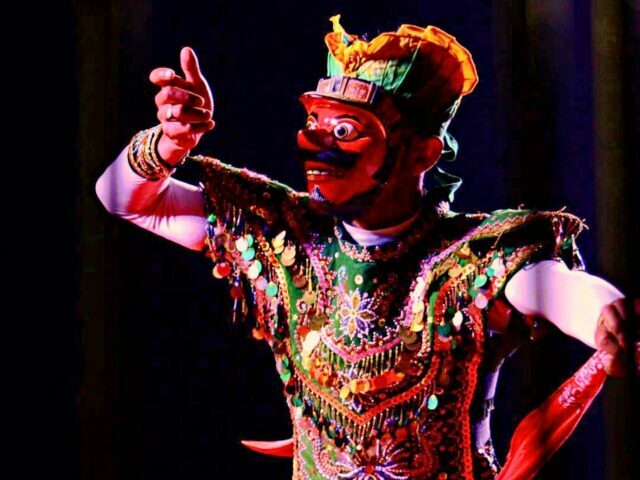 Dieng Culture Festival offers one in a lifetime festival experience one can't easily forget. Imagine starting the event under the freezing temperature of -4 C, as it happened in 2018. Moreover, Dieng Plateau is among the few places in Indonesia where tourist can experience a bit of frost. The event itself, Dieng Culture Festival (DCF) is an annual cultural event. It's been held since 2010. It aims to promote tourism around Dieng Highland. This region is known for its 13th-century temple complex. All named with the same name. It is also where the highest village of Java is located, at 2300 m above the sea level. Dieng also features mountains, multi-colored lakes, hot springs, and numerous other natural wonders. Traditional dance performance at dieng culture festival. 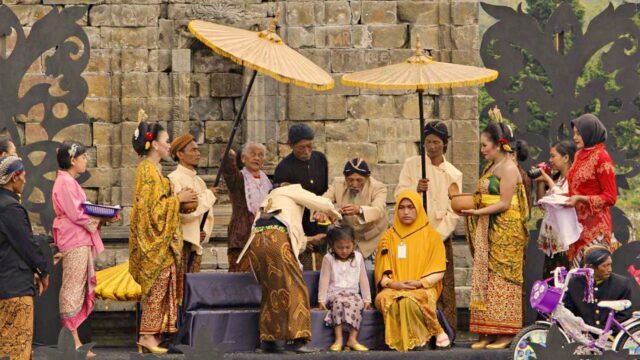 Dieng Culture Festival will runs for three days in the dry season August. The festival launch and schedule a series of interesting activities as its sub-events. From the music show Jazz Above the Clouds. To environmentally-aware Dieng Cleanup. The committee estimate around 100,000 - 150,000 participants attend DCF each year. Experience a unique Jazz concert surrounded by nature. Forget a classy concert hall; Dieng gives a better venue than that. The stage stands in front of Dieng's Arjuna Temple - nothing more exotic as a concert backdrop. Since it's situated 2000 m above the sea level, the weather can be freezing. Hopefully, the music will warm the atmosphere. Sing along and forget the cold as musicians start playing. The lineup consists of Indonesian jazz musicians and performers from abroad. Last year, it was Hiroaki Kato from Japan and Indonesia's Letto, among many others. Expect an exciting lineup for this year as well. When the night deepens. it's time for the most romantic sub-event of Dieng Culture Festival. The festival of lanterns begins at 12 AM, after the concert. Write a wish and put it inside the lantern. Then fly the lantern along with a thousand other dreams. 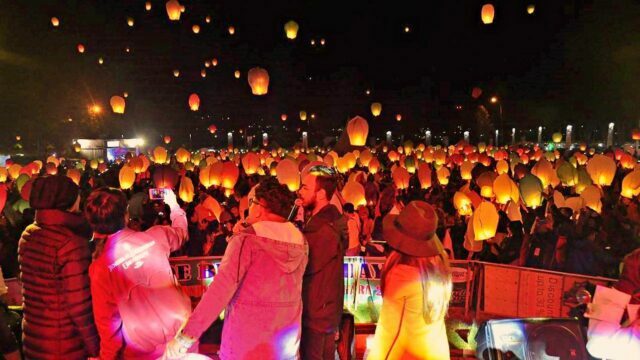 Watch as they ascend to the sky and cheer up the darkness with colorful lights. The children of Dieng are famous for being born with an unusual dreadlocks hairstyle. They are referred to as Anak Gimbal, the Messy-haired kids. On why they have such hairstyles is unexplainable. Legend says that the hairstyle was a magical gift from a powerful king in the past. When children get to 6-7 years old. Their family will hold a ceremony called Jamasan. In this ceremony, the dreadlock hair will be cut. So then the hair will get to grow as usual afterward. The ceremony is a lavish one and takes place in several Dieng Temples. 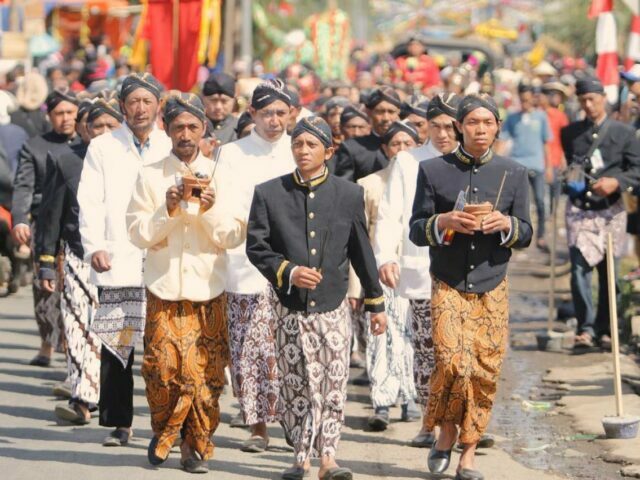 The participants of the Dieng Culture Festival are invited to come and see the procession. The family members will wear colorful traditional clothes. The child, however, wears white clothing. The child then sits on an ascending platform where the elders. And then with scissors in hands, start cutting the hair. The amusing moment is the gift part. Every child is granted a wish their parents must fulfill. Listen and laugh as they tell out loud what their wishes are. Which sometimes can be innocently absurd. Ranging from a chicken, snack, ice cream to an iPhone. Every morning during Dieng Culture Festival. Right before the main event begins. It will start with a mass cleaning activity called Dieng Clean Up. Every participant must take part to clean up the mess from the day before. Lengger, the opening dance on Dieng Culture Festival last year. It's one of the effort DCF make to give back to nature. To pump up the enthusiasm, the committee prepares nice gifts for people who collect most rubbish. Throughout the three days of Dieng Culture Festival. There will be more mini-festivals within. These festivals exhibit local specialties of Dieng. Domba festival or Sheep Festival introduces visitors to the prized sheep of Dieng. Which of course have thicker wool than sheep coming from another region. Flowers are also Dieng specialty, especially lily which is exhibited at Lily Festival. Lastly, Tumpeng Festival invite participants to taste the mountain-shaped rice dish. The villagers will prepare 50 portion meal for everyone to try. The venue for DCF 2019 is Dieng Kulon Tourism Village at Banjarnegara, Central Java. The ticket price is IDR 350k per person. It provides participant three-days entry for Dieng Culture Festival. 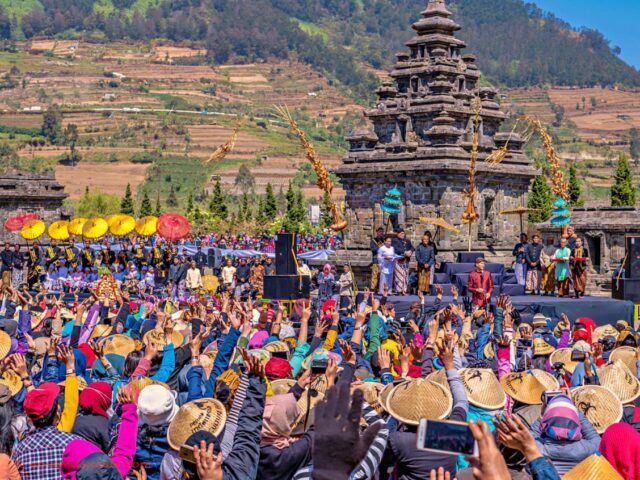 Dieng Culture Festival 2019 starts on 2 - 4 August on dry season. Which also the coldest month of the year. Pack some warm clothing and enjoy Dieng at the fullest. Venue Location Dieng Kulon Tourism Village, Banjarnegara Central Java. See: Dieng Plateau Top Attraction, From Temple To Hiking Activity. Tourists can easily find accommodation to stay at night at villages around Dieng. Consider booking in advanced since hotels can easily get overbooked around the event date. Included in the ticket is the entrance fee to Dieng tourist attractions, a t-shirt, hat, and merchandise. The organizer also provides limited camping grounds, available for rent at a price. The most convenient way to reach Dieng is by joining a tour package. Many tour companies offer a shared minivan service which will deliver tourists from Yogyakarta to Dieng. The rate starts from IDR 200k/passenger for a one-way trip. From Yogyakarta, it takes 3 hours to get to Dieng. A public transport option is also available. Although the journey takes longer time. Head to Yogyakarta's Giwangan Bus Station and catch a bus to Wonosobo City. At Wonosobo Bus Station, transfer into a bus heading to Dieng. Prepare IDR 50k for each bus trip. By bus, Yogyakarta-Dieng takes 5 hours.